Or: How to make the perfect neck strap case for using a mobile phone with a smart stopwatch app as a full replacement for a handheld sports stopwatch. 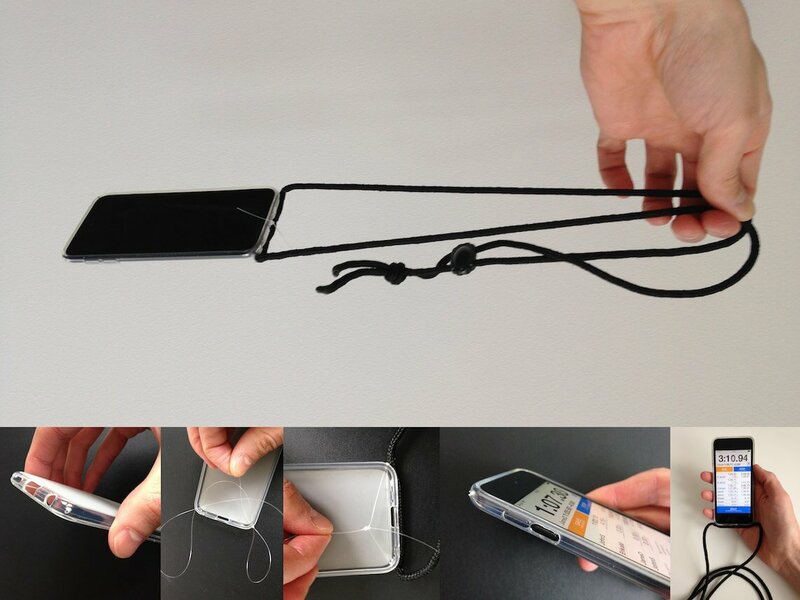 In the following, I will show you a quick way to attach a low-cost, yet comfortable strap to an affordable, minimal, yet sturdy enough smartphone case. Together these provide the perfect complement for utility apps that require you to frequently switch between using the phone and getting your hands free for some other activity. Comparable products are hard to come by otherwise and everything but affordable. If you just want to get to the step-by-step guide without any context information, check out the required parts and go here. If you are a regular smartphone user, most of your most frequented apps such as mobile games or chat applications make it quick and easy for you to handle them. Furthermore, you typically spend longer, continuous stretches of time using these apps. Once you pick up the phone, you find your preferred hand and finger position on the device and its screen, use the app for a while and, once done for good, re-stash the phone in a pocket or put it down on a surface such as the table right in front of you. 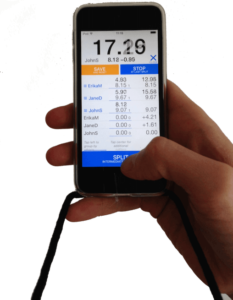 Some utility apps, however, and stopwatch apps for sports are just one prominent example, require a different pattern of use: You pick up the phone in your preferred (often single-)hand position, make a few taps on the screen, then let go of the phone to use your hands otherwise, just to return to the smartphone moments later. 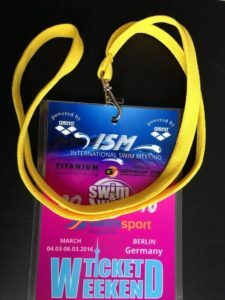 When using a utility app on the go at the track, pool or somewhere else outdoors, there often is no proper surface to rest the phone on in between uses. 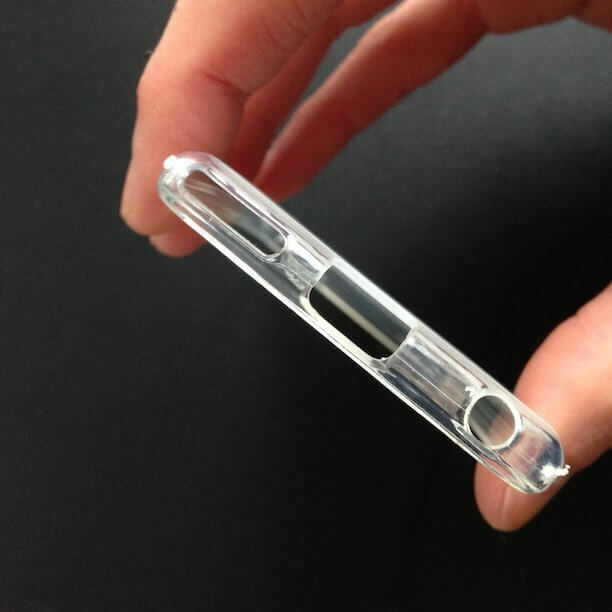 So, you either constantly take out and re-stash your phone in some pocket. 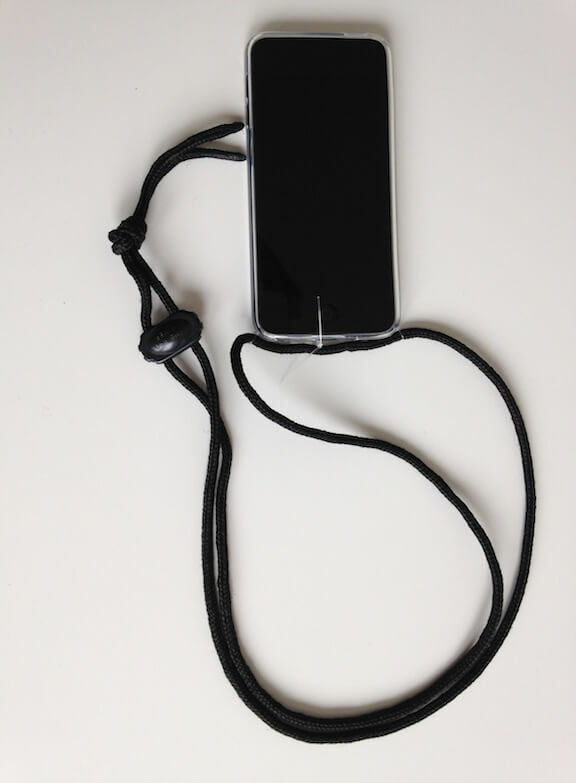 Or, you use a neckband (also referred to as smartphone necklace at times). 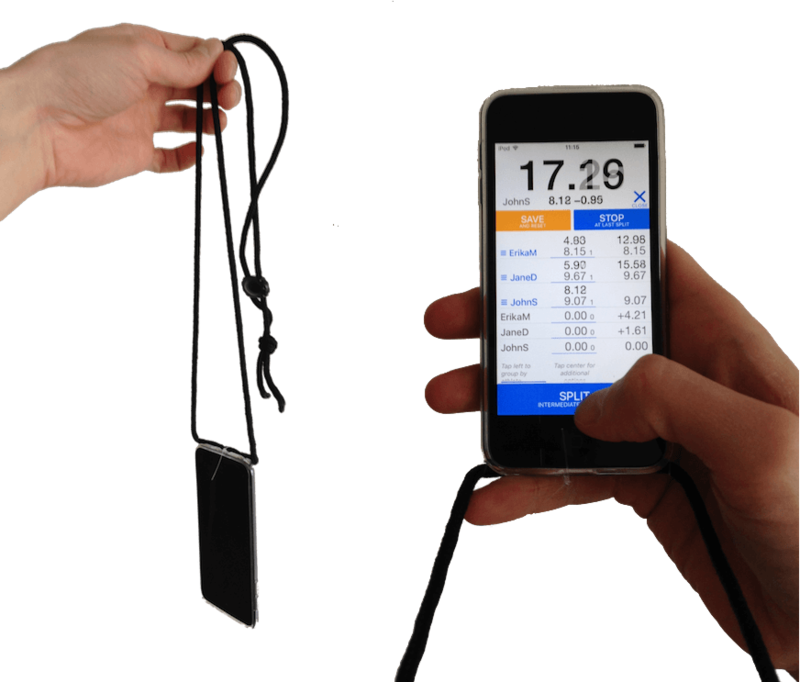 A smartphone neckband comes with added drop protection and ideally works in such a way that you can blindly pick up the device in the required or preferred hand position. 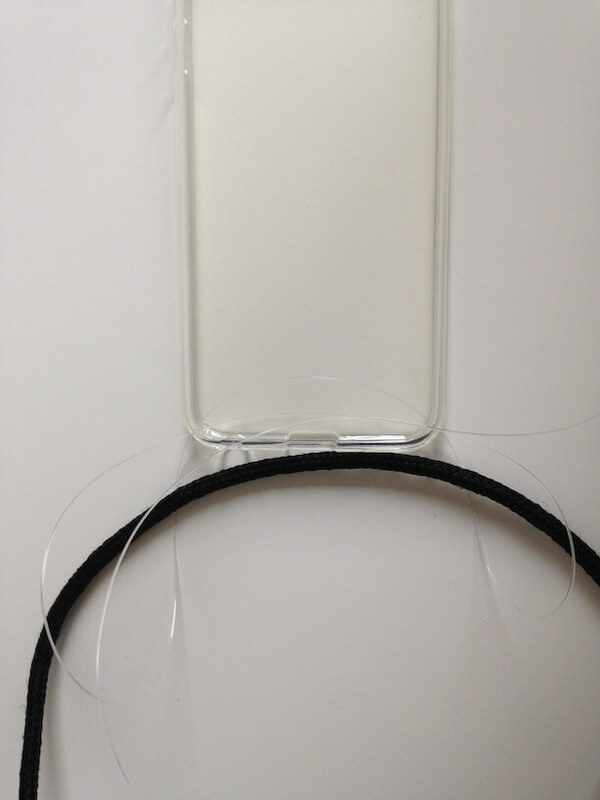 For quick and easy use, the ideal neckband is attached close to BOTH bottom corners of the phone. Having these two separate points to attach a band to protects the phone from turning and the neckband from twisting potentially multiple times like straps love to do. 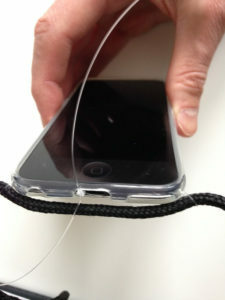 A single point of attachment such as the fifth-generation iPod touch devices had even built in (as shown in the picture), when used with a neckband instead of the accompanying lanyard loop, is prone to twisting in itself. Furthermore, when carrying multiple devices around the neck, these are likely to getting tangled up in nasty knots. The double-corner attachment makes sure that the screen of your android device, iPhone or iPod touch always stays in front. 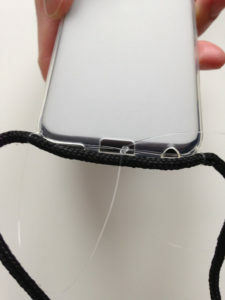 Attaching the neckband to the bottom of the device makes sure that, when you quickly slip your hand behind the phone and lift it closer to eye-level, the screen that hangs upside down on your chest stares right at you in the correct top-to-bottom orientation (as pictured). Smartphones do not come with a means to attach a neckband in the way outlined. 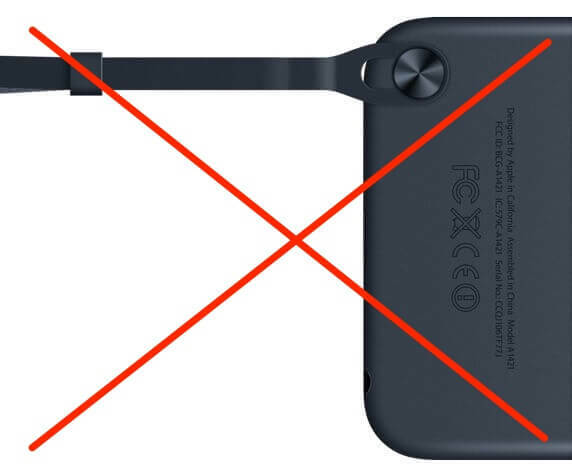 In fact, most phones do not come with any hook to attach a strap to at all. There are products to screw a small, metal loop on top of, for example, an iPhone’s Lightning port. But those are highly experimental at best. 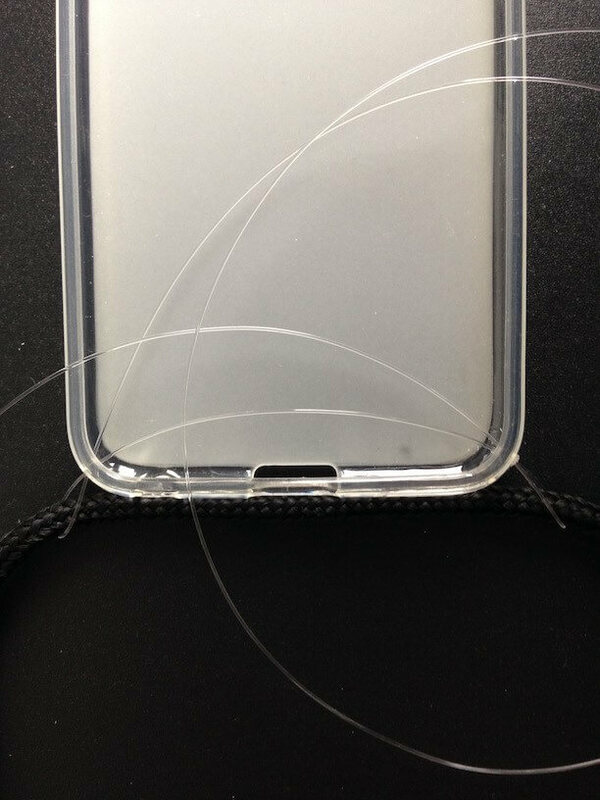 If you happen to rely on frequent-pick-up utility apps and in particular, if you are a sports coach that wants to use a video, analytics or stopwatch app on site, this leaves you with few options: Buy a dedicated case with attachment points and strap already included, or go with a do-it-yourself options. 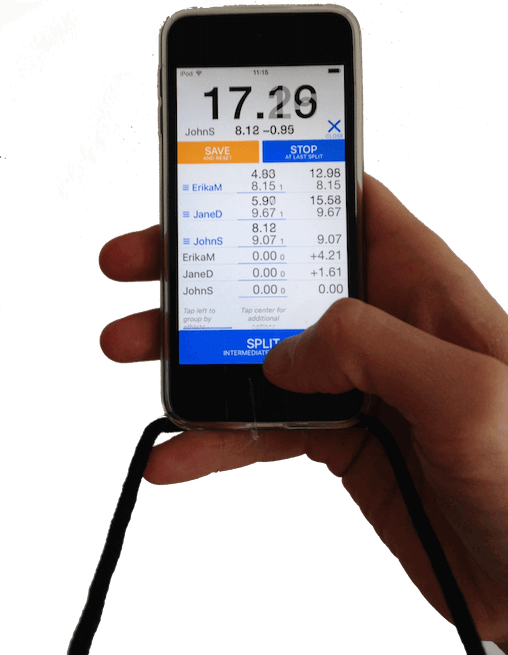 As the creator of a next-generation stopwatch app to replace one or even several traditional handheld stopwatches for sports coaches, parents and other frequent or occasional timekeepers, I had a keen interest in finding a ready-made solution. Regrettably, my extensive research came up rather short as I will summarize in another writeup soon. Waterproof cases that I was originally most interested in where expensive and came without a proper neck strap. 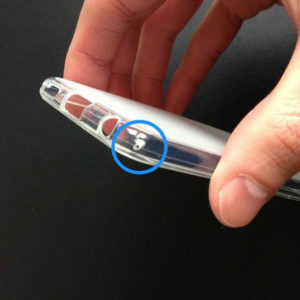 They also are bulky and no good for every-day use, yet especially tough to get a device into and back out again. Simpler cases with a strap attached, didn’t have the required double-corner attachment; and some more affordable water-proof covers, on top, left the smartphone screen rather hard to tap. These are the just three simple parts I combined to a neckband and case that is not only affordable, but also quite easy to apply to a naked smartphone as well as take off again. I bought a 0.5mm tinker/fishing line (polyamid/nylon thread) like this one on Amazon. (Being in Germany, I actually bought that one.) I only needed about 20cm (15in), though. 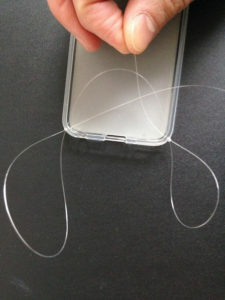 So, if you have a piece of a similar fishing line at home (we almost all do, don’t we!) use it. I just made sure that I use a sturdy enough line to not risk tearing it and dropping an expensive smartphone (or iPod) in the process. The 0.5mm (or 0.45mm to be exact; about 0.02in) seems plenty. Finally, I took the strap from a handheld stopwatch that wouldn’t work anymore. (In the process, I cleaned it in hot water with dish detergent to make it shine as new.) As an alternative, I also tried the neckband of an expired event badge, which did the job just fine, too. I even removed the single hook it came with, as this is no good in my case. Prices in US-$ are almost the same these days. 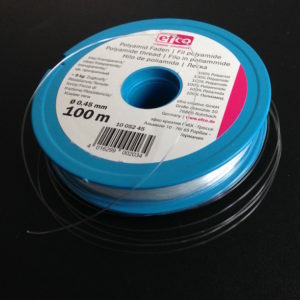 If you absolutely can’t find a suitable piece of nylon thread/fishing line at home or amongst a friend’s assets, even if you buy a new roll as I have listed, this is something you need at home all the time anyways. 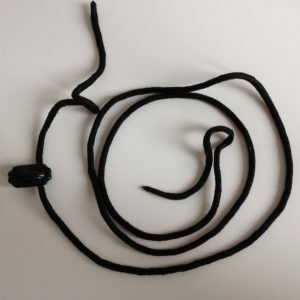 Furthermore, for some sort of (pseudo-)neckband/necklace, you can use any strap you already have, for example, from an event tag or an old photo camera, or simply make one yourself from an existing thread, thin rope, etc. 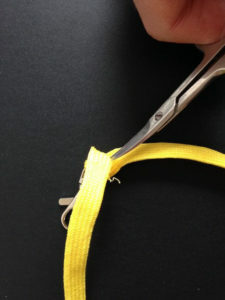 Therefore, for all practical purposes, I consider neckband and thread as FREE. This leaves me with costs for materials at €5.90 (US $6.30). 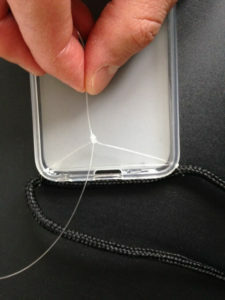 A simple needle will make it through the case just fine, too, I believe. I didn’t go with that option, however, because the resulting hole may be prone to tearing uncontrollably when pulling on the case in use, I believe. 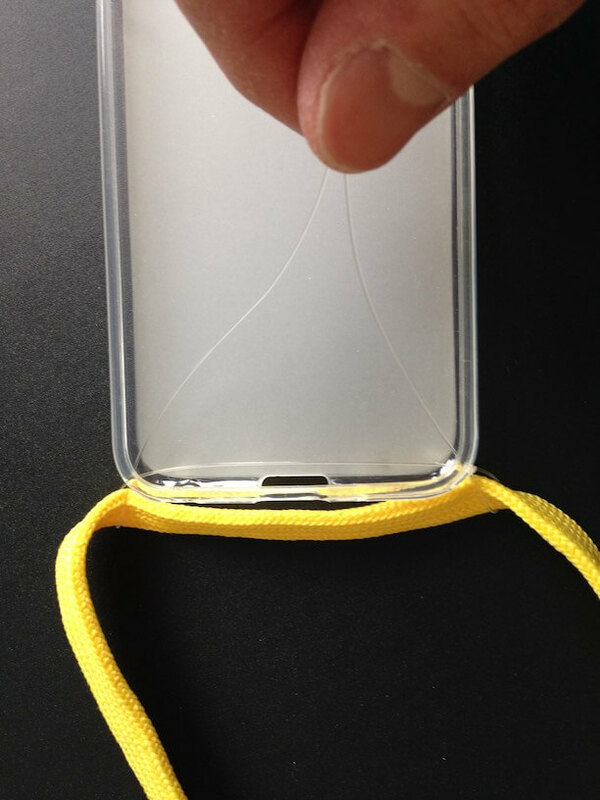 This may result in dropping the smartphone, which I don’t like to risk. One thing I would do different next time: I would put the holes a bit further to the center. This will be slightly less sturdy. 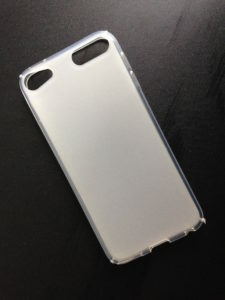 However, as you can see in the pictures, my final product has the neckband stand out beyond the long edges of the case. This is slightly in the way when holding iPod/smartphone at the lower end. There is a limit to how far in you can put the holes, though, as it is undesirable to get too close to the gaps for the likes of headphone plugs. A softer neckband would mitigate the, really just minor, problem, too. 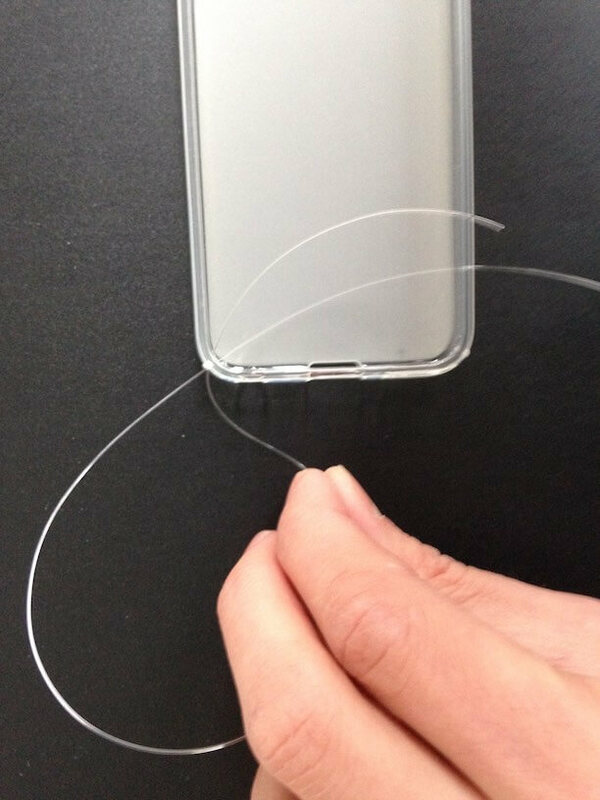 I cut off about 20-30cm (8-12in) of the fishing line and checked that the resulting piece didn’t have any prior damage, which would reduce the resilience of the thread against unwanted pulling on the device. I then put each end of the line through one of the holes in the case from the inside and looped it back through the same hole. Through the two resulting loops I then put the neckband from dysfunctional stopwatch or, alternatively, event badge. Then I locked both ends of the thread in a quadruple (or more) knot, pulling the whole finishing line somewhat, but not too tight. With the fishing line more tightly knit, the neckband becomes more rigidly attached to the case and tends to stick out to the sides even more, which is not what I want. I now just made sure that the knot was about in the middle of the case so that when I put the smart device into the case it would push out the knot at the center gap (usually for a power adapter) so that the knot wouldn’t leave a bump, which I thought may contribute to having the device slip out of the case slightly more easily. The final structure seems to be rather sturdy and the smartphone tightly embedded in the case, even with a bit of fishing line between case and device. 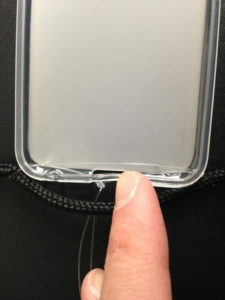 The case hides the physical button behind a layer of plastic/silicon, which, although somewhat flexible, delays the button press. For a precision stopwatch and possibly a photo app, too, this is undesirable. 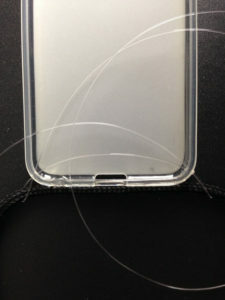 Therefore, I liberally cut out the lower of the two volume buttons of the iPod touch device I tested this on. 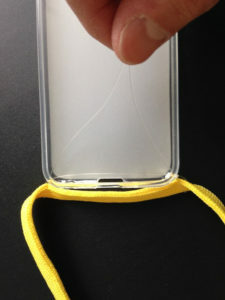 That’s the ‘-‘ button in the case of iPhone and iPod touch. I used nail scissors in favor of a carpet knife that I also tried, yet which turned out to be too coarse and not quite sharp enough. After finishing the first hole, I tried to reduce sharp edges on the case further by cutting the hole in the form of a crater, which is wider around the outer perimeter. 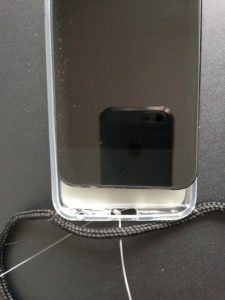 Still, I made sure NOT to cut the inner frame (on the phone’s screen side) of the case or leave too little material there. 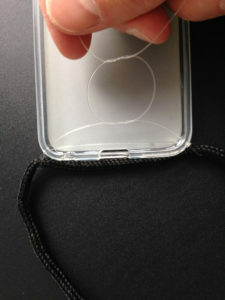 This is, because cutting this off will make the smartphone fall out of the case much more easily. 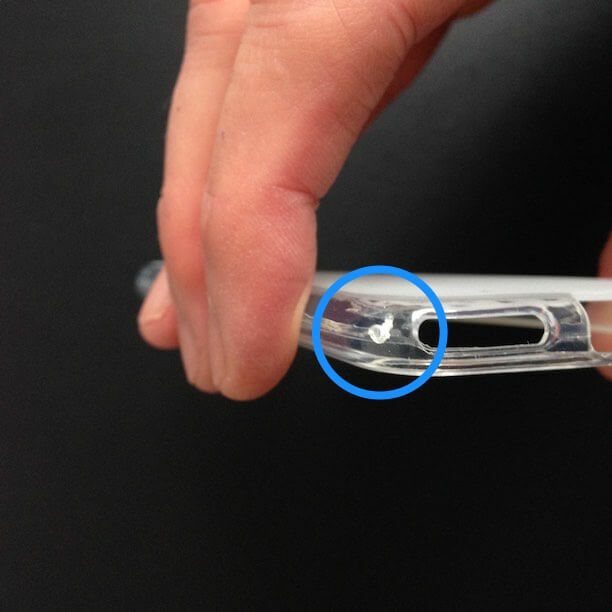 Your index finger will tell you when the cut-out is about right. Spending some effort on getting this hole to a comfortable level is worth the time for sports timing at least, as a stopwatch will require you to press this button quite frequently. DISCLAIMER: Please use the instructions at your own risk. 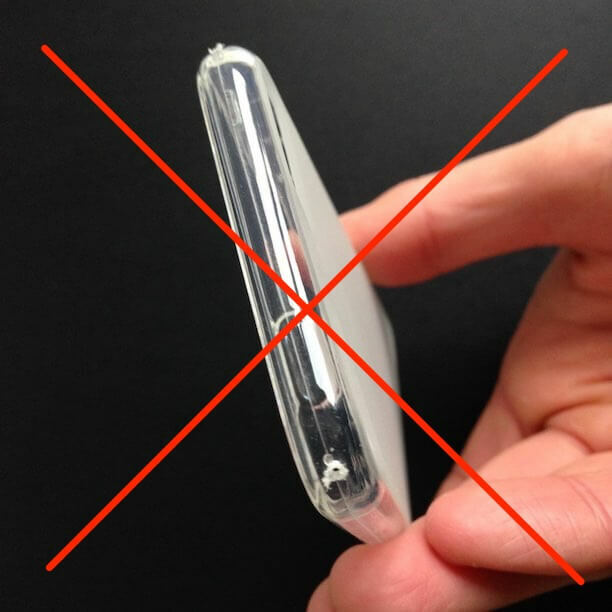 I cannot be held responsible for any damages on your smartphone or any other damages related to following these instructions or using the resulting product.